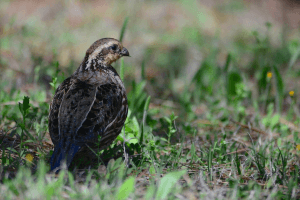 Bobwhites seek brushy habitat where crop fields intersect with woodlands, pastures, and old fields. You’re probably familiar with the northern bobwhite and its decline. 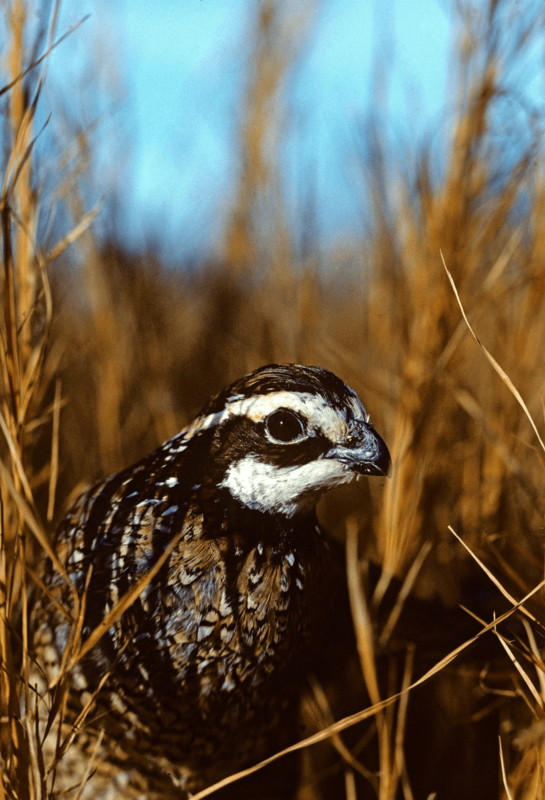 The bobwhite, or what many of us call quail, has seen its population dip by more than 80 percent across large sections of its range during the past 60 years. Farmers can greatly help the species with a few tweaks to their cattle operations. 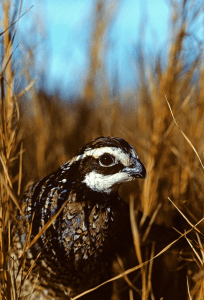 Why Are Bobwhites in Decline? Bobwhites are an “edge” species, meaning they seek brushy habitat where crop fields intersect with woodlands, pastures, and old fields. But this type of habitat is tough to find. 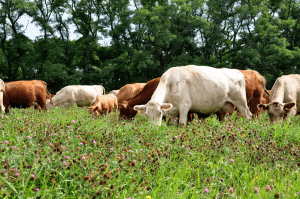 The rise of non-native forage for cattle and advanced agricultural equipment that leaves behind fewer weeds and brush have both decreased available habitat. In many ways, cattle and bobwhites have become mutually exclusive. But it doesn’t have to be that way. To help reconnect cattle and quail, USDA’s Natural Resources Conservation Service is working with cattle producers to replace non-native forage grasses, like fescue, with native warm-season grasses that create productive and palatable grazing options for livestock while benefitting quail and other wildlife species. By replacing non-native forages with native ones, producers can benefit from pastures that are more resilient to drought and more resistant to endophyte, a fungus found in fescue that impacts herd health. Operations that rely only on common cool-season forages, such as fescue and orchardgrass, may find it increasingly difficult to stay above the bottom line. We’re recommending that you go “old school” by grazing on native forages. In addition to establishing native forages, the Natural Resources Conservation Service provides producers with assistance to plan and implement a variety of conservation practices. For example, we help producers establish field borders as well as plant trees, shrubs and hedgerows, which help create that “edge” habitat that quail need. We also help producers improve grazing systems, offering assistance with prescribed grazing and installing cross fencing. And we help producers manage for the plants they want with practices like prescribed burning and herbaceous weed control. ‘Bobs’ and beef can co-exist! All these practices enable you to manage for good habitat for bobwhite and forage for cattle – at the same time. To learn more about these practices, download our new “Working Lands for Northern Bobwhite” fact sheet and the Ohio specific information sheet for the 2019 Bobwhites In Grasslands Project signup. If you’re interested in getting assistance, contact your local USDA Service Center. USDA accepts applications for conservation programs on a continuous basis. Posted by Smith at 5:09am October 4, 2018 Posted in Forages, Pasture. Bookmark the permalink.